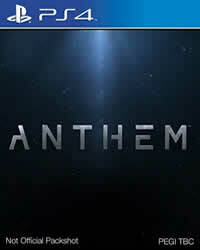 In the PS4 Multiplayer game Anthem you can unlock a total of 47 trophies. In this Trophy Guide we show you all the trophies and their tasks. Below you will find all the trophies, as well as tips, tactics and guides. You will definitely find everything related to the trophies here! First you will find a table with a short overview. Second you find a detailed list of all trophies, descriptions, Trophy Guides and much more! More Guides and News about Anthem you will find on our overview page. The trophies are pretty simple. You must complete all missions in the game, meet all Tier I Weapon Challenges (27 weapons), and Tier I Gear Challenges (4 character classes). In addition, you must also achieve the masterpiece status with your Javelin to get a good endgame gear. There are also 300 collectibles. Complete All Story Missions / Expeditions: To complete all the trophies and achievements for the Story Missions and Expedition, you will need about 20 hours. During this time, you should also have unlocked Rank 30. Weapon Challenges: You should automatically unlock these tasks as you play through the game. Gear Challenges: There are 4 classes at the moment, and there are 12 challenges for each. This should take around 6 to 10 hours in total. As mentioned above, there are a total of 300 collectibles in Anthem, which you all have to find if you want to unlock Platinum. These include the 10 explorer trophies, to unlock them you must uncover all landmarks, disputes and hidden places. This manual is under construction and will be actively overhauled! There are 300 collectibles in Anthem. For this trophy you have to find all of them. You can follow your progress via the menu. Below is a list of all challenges and how many collectibles there are per category. Mederines Disciple (10) / Mederines Order (+30) / Mederines Peer (+40) = 10 + 30 + 40 Text Documents found. Hidden Messages (10) / Footsteps of Idris (+20) / Vasaa’s Triumph (+50)= 10 + 20 + 50 Runes found. This trophy will automatically unlock, it's part of the story. Finish the main story mission Early Warnings. This is one of the first missions you'll play even before you reach Fort Tarsis. This trophy will automatically unlock, it's part of the story. Finish the main story mission Incursion. This trophy will automatically unlock, it's part of the story. Finish the main story mission Finding Old Friends. This trophy will unlock automatically, it's part of the story. Finish the main story mission The Tomb of General Tarsis. After rescuing Faye in main mission Old Friends talk to her in the basement of Fort Tarsis. She will mark 4 Tombs of the Legionnaires on your map. Here we show you all 4 Tombs. Above the trophies you will find links to the respective locations for this trophy.